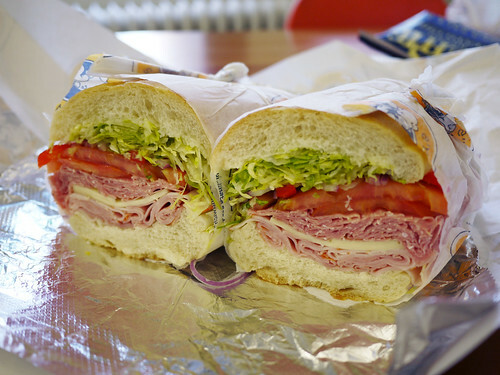 In brief: The #2 Italian Combo does not disappoint. As usual, the #2 Italian Combo from Lenny's, on a hero, utterly satisfies. Afterward we took a leisurely walk to the UPS store on these last warm days of fall. I feel like I keep saying that and that the weather keeps promising to turn cold but it hasn't yet. NOT that I am complaining.